Clips on a Tool Belt, Pocket, Tool Bag and More. Safely secures Square with patented design. Holds 7" SPEED Square of all Types. Easily accessible with one hand. Adds no weight to Tool Belt. Has Carpenter Pencil Holder. Trimmed in black lace with a black bow accent, the Naked North Snow chemise has a gentle flair to a mid-thigh length. The flirty ruffled hem finishes the look. With the adjustable lingerie straps and tie strap in the back, you can get the perfect fit. 5.5 oz. 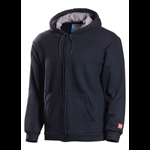 Chambray, 88% Cotton/12% Nylon. Attention small lawn owners. The Husqvarna 54 is the ideal manual mower for you. The 16 inch cutting width is great for maneuvering through narrow paths or around obstacles. Equipped with the hardened reel blade and bedknife that sets Husqvarna's reel mowers above the rest. 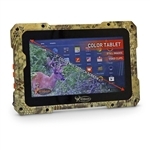 The Trail Tab 7" Outdoor Android Tablet from Wildgame Innovations is a durable, portable tablet running the Android 4.1 Jelly Bean operating system that can be used to quickly check images from your trail cameras with the built-in SD/SDHC slot for using cards up to 32 GB. The Trail Tab uses a dual-core processor and has a high resolution 7" multi-touch screen to enable clear and intuitive viewing of your photos. Also, all of this is protected by an ultra-thin, heavy duty Realtree Xtra housing. All data and applications is stored using the 8 GB of internal memory, which can also be used to save images for viewing later. There is also Wi-Fi connectivity for connecting to networks and other devices. Additional features of the Trail Tab include the 3.5mm headphone jack, microUSB port, and a water- and weather-resistant build. It runs on 4 AA batteries.